Is Obama's signature climate rule doomed? The Supreme Court sent a shot across the bow to the Obama administration yesterday, throwing the fate of its landmark climate change rule into doubt. The unprecedented move from the high court to stall the regulation while a lower court hears the case blindsided supporters of the regulation while giving critics reason to believe the justices will ultimately torpedo the rule. Meanwhile, the move to freeze the regulation throws into disarray states' plans to comply with the regulation aimed at slashing power plants' greenhouse gas emissions. It may also turn climate change into a more relevant issue in the presidential race -- and other elections. "We already expected climate change to be a big issue in the general election, having already seen a substantive discussion about climate action among the candidates in the Democratic field and heard various shades of climate denialism from the GOP front-runners," said League of Conservation Voters spokesman Seth Stein. "Now that climate change is a Supreme Court issue, it will likely become even more significant because whoever takes the White House might appoint three or more new justices." It's unclear now whether the rule -- which the Obama administration leaned heavily on in recent international climate negotiations in Paris -- will ever be revived. The high court blocked it at least until a federal appeals court weighs its legality and potentially until the Supreme Court decides whether to uphold the rule, which could conceivably take years. Senior administration officials yesterday cast the decision as a "temporary procedural" move and said that they remained confident in the rule's legal footing. They pledged that EPA would continue to work with states as litigation proceeds. "We remain confident that we will prevail on the merits," White House spokesman Josh Earnest said last night. "Even while the litigation proceeds, EPA has indicated it will work with states that choose to continue plan development and will prepare the tools those states will need. At the same time, the administration will continue to take aggressive steps to make forward progress to reduce carbon emissions." But there's a "certain sense of inevitability" about the rule's legal fate, now that the Supreme Court has put it on ice, said Dorsey & Whitney LLP attorney James Rubin. He said he interprets the stay decision "to mean that this court, the way it's constituted, would likely find against the rule." The rule's fiercest critics on Capitol Hill applauded the news. House Speaker Paul Ryan (R-Wis.) called the stay "a victory for the American people and our economy," while House Majority Leader Kevin McCarthy (R-Calif.) declared it a "welcome development." Rep. Morgan Griffith (R-Va.), who represents coal country, said he has "long believed" that EPA does not have the legal authority for the Clean Power Plan. Griffith, who was a supporter of legislation that would have blocked the rule until the resolution of court action, said he took "great pleasure" in learning of the Supreme Court's decision. Other top House Republicans reacted with joy last night when informed of the high court's decision. "I was not aware of the decision. It's good news," Energy and Commerce Chairman Fred Upton (R-Mich.), whose committee has led the chamber's legislative assault on the Clean Power Plan, said early in the evening. Asked by E&E Daily if the decision validated the committee's concerns about the regulation, he said, "I think that's the case." House Natural Resources Chairman Rob Bishop (R-Utah) responded more effusively, calling the surprise ruling "one small step for mankind." Senate Environment and Public Works Chairman James Inhofe (R-Okla.), a climate doubter who has been a vocal critic of the Clean Power Plan, called the decision a "major blow" to Obama's climate legacy. Perhaps nobody was more pleased, though, than Senate Majority Leader Mitch McConnell (R-Ky.), who led an effort last year to convince governors to "just say no" and forgo submitting plans to comply with the rule. McConnell later spearheaded a measure through the Senate that would have scrapped the regulation and EPA's rule for limiting carbon emissions from new power plants through the rarely used Congressional Review Act. Obama eventually vetoed the resolutions. "Last year I called on governors to hold off submitting plans mandated under the President's regressive federal energy regulations until courts could determine whether the regulations were even legal," McConnell said in a statement. "Today's Supreme Court order to halt those regulations -- regulations that attack the middle class and won't even have a meaningful impact on global carbon emissions -- is just the latest sign they may not be." Democrats were quick to jump to EPA's side. House Minority Leader Nancy Pelosi (D-Calif.) warned that climate change would lead to rising asthma rates, record droughts and surging oceans. She said the Supreme Court's ruling was "deeply misguided" and warned that it would allow "states that deny climate science to slow progress in reducing the carbon pollution that threatens the health of all Americans." Sen. Sheldon Whitehouse (D-R.I.), one of the Senate's biggest champions for climate action, said he "deeply [deplores] what I believe will ultimately come to be seen as an infamous political action by the five Republican appointees on the Supreme Court." The stay decision could ultimately hurt Republicans, though, if it causes climate change to rise in importance in the upcoming presidential election, predicted Paul Bledsoe, a former Clinton White House aide on climate change. "This partisan stay order -- with all Republican-appointed justices voting against implementation of the Clean Power Plan -- will thrust climate change back into the presidential campaign spotlight," Bledsoe said. "Ironically, it is an issue more likely to cause problems for Republican candidates, since polls find that Americans overwhelmingly support climate action, and GOP presidential hopefuls lack serious climate protection plans of their own." But Mike McKenna, a Republican energy strategist, predicted that the stay order will help bring into the election conversation a debate about which candidate will help protect state prerogatives and be in favor of affordable energy -- a conversation that could hurt Democrats, he said. "The stay will help bring it into relief: The Democrats are at some real risk of being the party of expensive, exotic energy," he said. "And of course, it is a crushing blow for the Obama crew. They won't be around to rewrite the rule if it gets remanded or to enforce it if the courts ultimately uphold it." Both sides agree on one thing: The stay order was unexpected. Jeff Holmstead, an industry attorney at Bracewell whose clients are challenging the regulation, called the high court's move "remarkable." It's "the first time that the Supreme Court has ever stepped in at this stage to put a rule on hold," he said. "It sends a pretty strong signal that their rule is going to be invalidated." Those who asked the Supreme Court to freeze the regulation "thought it was kind of a long shot, just because it had never happened before," Holmstead added. Even White House officials last night called the stay "extraordinary and apparently unprecedented." EPA's environmental allies, too, were surprised by the move. "I think everybody on both sides was not expecting this," said Sean Donahue, an attorney representing environmentalists in the lawsuit. "We continue to think that this rule is legal and well-founded and urgently needed," Donahue added. "We expect to win. Today is a disappointment and a setback and a surprise, I admit, but it doesn't change our view of the merits of the case." Many environmental organizations yesterday repeated the sentiments, expressing confidence in the overall vitality of the rule and referring to the Supreme Court ruling as a temporary setback. Even states that were opposing the rule in court were working on plans to comply with it. Stakeholders last night were still grappling with what exactly the stay ruling means for all those efforts. The first deadline for states to either submit initial plans or demonstrate progress had been scheduled for September. EPA last night pledged to continue working with partners on the rule, which requires states to take final action by 2018. "We're disappointed the rule has been stayed, but you can't stay climate change and you can't stay climate action. Millions of people are demanding we confront the risks posed by climate change," EPA said. "And we will do just that. We believe strongly in this rule and we will continue working with our partners to address carbon pollution." At an event last January in Washington, D.C., however, EPA Administrator Gina McCarthy indicated that the agency had no backup plan should a federal court block the rule while litigation plays out (E&ENews PM, Jan. 7). McCarthy may shed some light on where exactly the agency goes next tomorrow, when she is scheduled to speak at a Clean Power Plan workshop in Washington, D.C., hosted by three organizations representing state regulators. Some stakeholders said they believe that states will continue efforts they've already begun to cut carbon dioxide emissions. "Whether or not the court ultimately upholds this particular rule, the need to cut carbon emissions will remain, and states need to figure out the most cost-effective ways to do that," said Bob Perciasepe, president of the Center for Climate and Energy Solutions and EPA's former No. 2 official. "It's in everyone's interest that states keep at it." Bill Becker, executive director of the National Association of Clean Air Agencies, who has been a key figure in organizing state compliance efforts, expressed a similar sentiment. 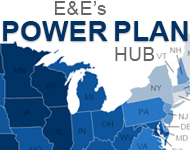 "Almost every state in the country has been working tirelessly over the past two years in preparing Clean Power Plan strategies," Becker said. "We fully expect that many of these states will continue their efforts to reduce greenhouse gas emissions under their own legal authorities." At least one state last night vowed to push forward with its implementation efforts. "As the world gets hotter and closer to irreversible climate change, these justices appear tone-deaf as they fiddle with procedural niceties," California Gov. Jerry Brown (D) said in a statement. "This arbitrary roadblock does incalculable damage and undermines America's climate leadership. But make no mistake, this won't stop California from continuing to do its part under the Clean Power Plan." Regardless of what happens to the Clean Power Plan, senior administration officials last night said that they believe the U.S. power sector will continue to shift away from coal. "There are powerful drivers outside the scope of the Clean Power Plan that are going to continue to mean additional shifts in the power sector," a senior White House official said.